In my line of work (the crazy and unpredictable world of education reform) we share our model of education, which utilizes a student-centered approach that requires a systemic change, with many people. The people we meet with always have plenty of questions as to how this works despite the fact it has been successfully serving students for 18 years at our flagship school (The Minnesota New Country School) and the many other replications schools. The EdVisions model doe sn’t include bells, hallways with lockers, a course/classroom curriculum, GPA’s or class rank. This isn’t your traditional middle/high school and wasn’t designed as such. This model does so many things differently but I’d like to focus on the curriculum. The EdVisions model cites ‘The world is the curriculum.” This is an accurate assessment as students garner the required standards, subjects, credits, etc. via a personalized curriculum unique to each student’s individual needs. This personalized curriculum blends a full-time multiage advisory, student-directed project-baseds, seminars, online-classes, college courses, internships/job shadowing and field experiences. This tends to cause many traditional teachers to cringe. Why? Many fear they are no longer needed. Others state their concern for how the students will “get all of the standards checked off.” We focus first on the learning then the actual content. Yes, the students still get all of their required standards in order to graduate but that isn’t the end all. It is far more important that students have all the tools required to be able to learn things on their own after they leave the safety and security of high school. Again, this can be a frightening thought for some people. I can understand their concern when the current US education system is so focused on content and standardized testing to demonstrate mastery of this content. The flaw in this thought process is the assumption that students learn and retain 100% of that content. Let’s use biology as an example…say a student completes all the required biology standards…they probably actually learned 75% of them. Would it have been better for the student to have focused on 75% of those standards to begin with allowing more time to dig deeper into those areas and actually learn all of that 75%? I would argue YES. Why? Because the process of learning (engaging, discovery, exploration, explanation, evaluation, reflection…) is far more important for life long learning than simply route memorization. 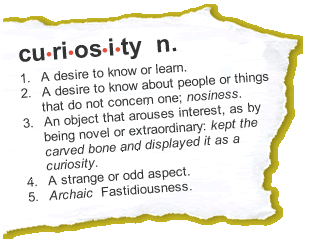 I feel it is far more important that students have skills/competencies such as time management, responsibility, resiliency, persistence, independence, creativity…Providing students the proper tools in an environment most conducive to learning so they can continue to be curious and hungry to learn more. The Common Core State Standards (CCSS) are getting more and more attention in the press and are being adopted by states quite rapidly. Like all other educational initiatives you either love it or hate it. We’ll, once again I am sitting up on my white picket fence in Mayberry. The name “Common Core” sounds as if it would be a list of common basic standards to be accepted across the nation so students have the same basic educational foundation regardless of the state they are in. Pretty straight forward right? Not so. If you take a look at them you soon discover they are not so ‘core’ but rather ‘comprehensive.’ This is where I get up on my fence. I am all for have a basic list of standards for every student to master (not cover). I have a problem when it morphs into a ridiculously comprehensive list of standards. As always, I’ve got an analogy to explain my point. You are going to go grocery shopping. If you are anything like me you make a list. So, how do you decide what to put on your list? You check the cupboards, pantry, refrigerator and freezer. You put on the this the items that you need. 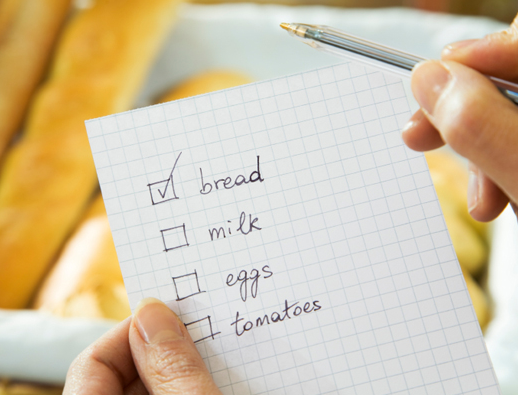 If you are shopping for the staples or basics you’ll probably have bread, butter, milk and juice on your list. Imagine having various produce, canning, and food companies deciding what you need on your list. Kraft Foods would insist that you need Mac-n-Cheese, Green Giant would demand you put green beans on your list and Proctor and Gamble might even chime in requesting you add some of their products to your list too. That sounds crazy right? Of course! This may be a stretch but sounds an awful lot like putting a group of educators with their content hats on together in a room to determine what kids need to know before they graduate. The English Language Arts person will most definitely have an extensive list of poetry & grammar to learn, classic books to read and famous authors to study. The Mathematician will of course have an equally complete list of standards to cover as will the Historian, Scientist, etc. We all select a content area we enjoy and are passionate about so obviously we will be skewed just as a major company would be interested in promoting their own products. We need to take off our content hats and think more broadly about what future generations will need. A laundry list of very specific standards sounds more comprehensive than core. Common Core State Standards have the potential to allow for all kinds of innovation. Common Comprehensive State Standards scream to be made into a nice-neat prepackaged curriculum to be sold by a major textbook and or testing company. Let’s collaborate & innovate so the future of this world has the ability to think for themselves, loves learning, can be creative and can analyze and solve problems that don’t involve a #2 pencil and a scantron. We can do it. And when I look into the eyes of my own 4 children I know we HAVE to do it!